Published: January 27, 2012 12:00 pm Updated: Jan. 27, 2012 12:56 p.m. Kids will be kids, and in high school that can lead to being reprimanded for being a class clown, passing notes in class or pulling pranks on others. However, in Shawano, Wisc., 15-year-old Brandon Wegner was reportedly punished for sharing this opinion: Homosexual couples shouldn't be able to adopt. Wegner wrote an op-ed piece for the school's newspaper explaining the Biblical view of homosexuality and supporting natural mother-father adoption, according to a press release by Liberty Counsel, the firm representing the Wegner family. His opinion was one part of an editorial page that presented student viewpoints both for and against the issue. Wegner's opinion included a paraphrased quote by Dr. Cameron from the Family Research Institute saying that children of gay parents are "more apt to report sexual confusion, more apt to abuse substances, less apt to get married and more apt to be socially disturbed." He also quoted scriptures like Leviticus 20:13: "If a man also lie with mankind, as he lieth with a woman, both of them have committed an abomination: they shall surely be put to death; their blood shall be upon them." Fox News reported the school received a complaint from a gay couple whose child attends the high school. The school issued an apology stating Wegner's opinion was a "form of bullying and disrespect." "Offensive articles cultivating a negative environment of disrespect are not appropriate or condoned by the Shawano School District," the statement read. "We sincerely apologize to anyone we may have offended and are taking steps to prevent items of this nature from happening in the future." Staver has threatened legal action against the school. The bullying argument is something that has been tossed around in the debate about religion's place in schools. The Florida Independent reports state Sen. Gwen Margolis, D-Miami, is fighting against a bill that would allow students to pray during school events in Florida because giving one religion more weight than another at a school event is the sort of thing that perpetuates bullying. Republican presidential hopeful Newt Gingrich also blasted a judge in San Antonio during his South Carolina victory speech for issuing a temporary order barring organized public prayer at the Medina Valley High School graduation in south Texas. "One of the key issues is the growing anti-religious bigotry of our elites and if you get a chance, if you go to newt.org, my campaign site, there's a 54-page paper there on the balance of power, putting the judiciary back in its proper role and eliminating dictatorial religious bigots such as Judge Biery in San Antonio who issued a ruling that if the students, not only could the students not pray at their graduation, if they used the word benediction, the word invocation, the word God, asked the audience to stand or asked for a moment of silence, he would put the superintendent in jail. 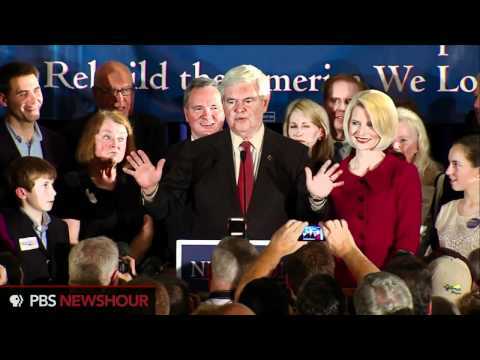 "Now, we don't have speech dictatorship in America by anti-religious bigots, period," Gingrich said.